Clay Marzo has been bugging me for a couple of years now. No, not the fact that his surfing makes me feel like I'm 80 years old, arthritic, and slower than Benjie Molina after lunch. He just LOOKS like someone...someone I couldn't, for the life of me, figure out. Finally, while ripping the CDs lingering at the bottom of the alphabet that I never got around to ripping 5 years ago, I figured it out. 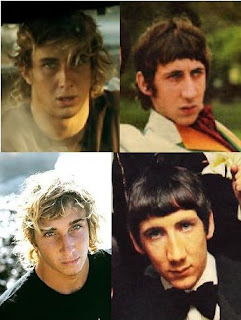 Now, I'm pretty sure The Who never toured Hawaii back in the late 80's, but, well...I'm just saying. They've got that "high performance" thing in common, too. 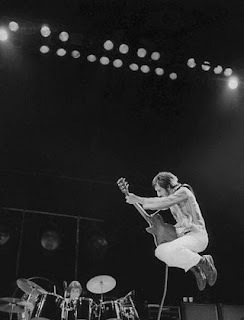 Pete Townshend, one of the underrated aerial pioneers. Clay Marzo doing his version of "the windmill"
The Colonel says, "You better, you bet."